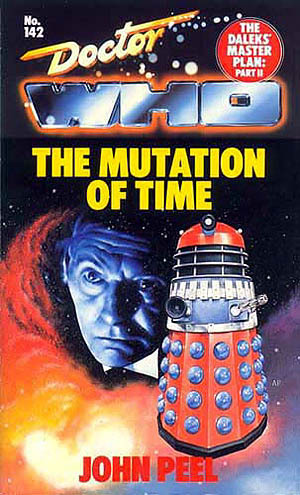 The Doctor faces his greatest enemy with the fate of the Earth in the balance. Honestly guys…out of all the episodes to be destroyed, you had to choose the huge, massive, epic twelve part blow-out. It would have made this review a lot more easier if you had not deleted these episodes. I’ve been sitting on this review for a bit because I just can’t seem to commit to reading the second part of this adaptation. I don’t know if it’s because of its scale or because the story just isn’t connecting as I hope it would. I have some quotes and notes from the first part of the adaptation but this is one of those times that I just have to walk away. Maybe I’ll be able to come back and look at this installment with fresh eyes but I have to move on to the next episode. I miss talking about Doctor Who and this blog was a nice escape from my busy life. There might be one reason why I’m having problems updating this blog beside the aforementioned busy schedule; the new Doctor Who episodes have simply drained me. There’s no life in the series anymore. You can see the actor’s trying but it feels like fan service instead of earnest storytelling. I miss the heart of the show, which is messing with the heart I had for the classic seasons. Talking with my friends about the program I have discovered that I’m not the only one who has this feeling. So, the plan is to push through this feeling and start blogging again. I love the First Doctor. I love the adventure he presents and I love his companions (though Steven needs to tone down the sexist attitude ASAP). Thank you, Katarina for your sacrifice. I wish we could have more episodes with you. While the previous companions had many examples of how dangerous it can be to travel with the Doctor, you were the first one to show the audience that it’s not always fun and games. Thank you, Sara Kingdom for being a badass. You were amazing and interesting and I wish we could have had duel adventures with you and Katarina. Thank you Bret Vyon. Your moral ambiguity was fun to watch and I wish we had more of your story as well. And with that, let’s move on. Let’s begin that push towards the next chapter. The only appearance of Sara Kingdom and the first death of a companion.